You are only a wave, formed on the breast of the Ocean by storm and surge. God is Love; Love is the most divine quality that man can cultivate and confer on himself. Be born in Love, die in Love; Live in Love. That is to say, emerge from God and merge in God; be the wave on the Ocean of Love. Sathyam vada, Utter Truth, is the Vedic Injunction, and this is the Truth. The Injunction continues, Dharmam Chara, Walk in the Path of Dharma. What is Dharma? Dharma is acting according to the Truth you have known. Believing that the Body is All, and that there is no entity embodied in it – this is Mistake №1. Ignoring or forgetting that there can be no wave without the ocean, nobody without the Soul, is Mistake №2. The Soul has no modification or mood. It is the individualised embodiment that undergoes modifications and is caught in moods. Once you know that you are in essence the Soul, you too will be unaffected. The wise man is he who keeps his reason sharp and clear, and sees things as they really are. He listens to the advice: Life is a Challenge, Meet It; Life is Love; Share It! Life is a Dream; Realise It; Life is a Game; Play It. This is the real Pilgrim’s Progress. This is the Lion’s March across the Forest, fearless, masterful and victorious. The roar of the lion makes all the denizens scamper in panic so too the Halo of Wisdom scatters the dark brood of fear and doubt. ocean and depend on it for their individual existence; but, the ocean has no need of waves. Therefore, you are bound inextricably with all else and all others. The world will inevitably react on you; it will reflect your thoughts and plans: it will resound with your cries and creeds. Your thoughts, words and deeds will shape others, and theirs will shape you. It is your duty to be good, do good, and see good. That is the way to make the world good and be yourself good. The whole world is One Single Tree; the different countries are its branches; its root is God, human beings are the flowers. Happiness is the fruit and the Bliss of Self-realisation is the sweet juice therein. Man has to be continually examining every desire that emerges in his mind, so that he may suppress or destroy or by-pass or obey. He must learn, from parents, elders, teachers, friends and the leaders of the land besides the books written by wise men of his own as well as of other countries, the standards by which he can test his desires. He has to accept them or reject them. There are some who are wilfully wicked, who attempt at every turn to justify by spacious arguments the inequities they perform, but even then they know that they are on the wrong path. The God within does not fail to warn, and to counsel. Students! If you are drawn into evil in pursuit of momentary pleasure, you will have to suffer misery a thousandfold as a consequence of the impulse. Wicked thoughts, wild schemes and frolicsome escapades might give pleasure for the moment but in the long run they are sure to land you in irretrievable ruin. Your role is something far higher. 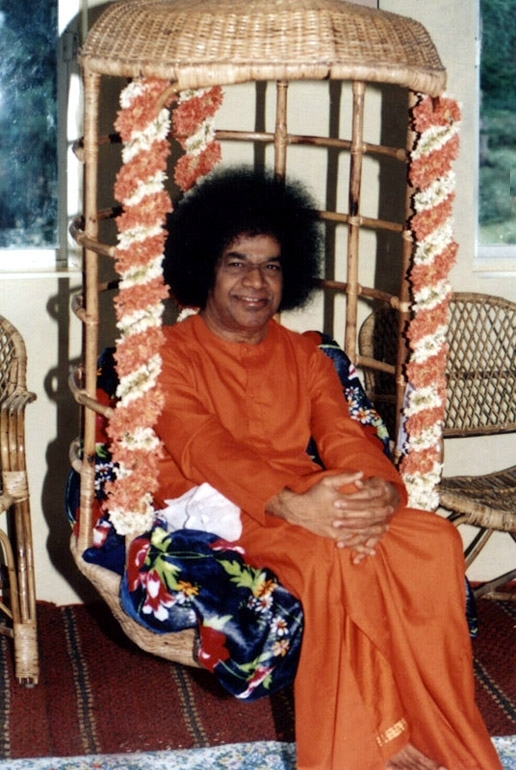 You have to correct and transform those who behave like blind men though they have eyes; those who move about as lame men though their legs are strong and straight, those who behave like insane men though they are equipped with bright minds; such men are in all fields now. There are hypocrites who talk ‘peace’ and practise ‘war’. Your task is to expose them, and educate them back into normalcy and virtue. Become instruments in the great effort to re-establish Righteousness throughout the world.